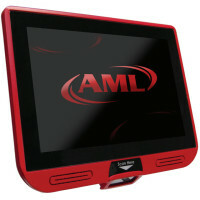 AML KDT750 Terminal - Big Sales, Big Inventory and Same Day Shipping! KDT750, No scanner, Color touchscreen, multiple USB and RS-232 Serial ports, PoE is standard. If PoE not used must purchase power supply (Part# PWR-8050), not included). See accessories. KDT750, CCD scanner, Color touchscreen, multiple USB and RS-232 Serial ports, PoE is standard. If PoE not used must purchase power supply (Part# PWR-8050), not included). See accessories. 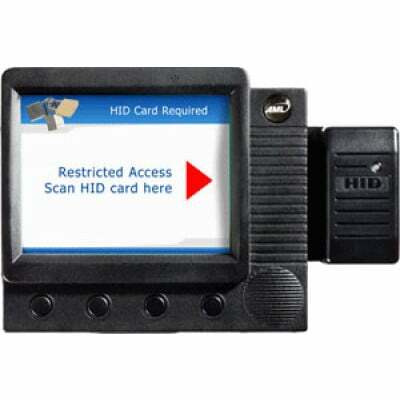 KDT750, 2D imager, Color touchscreen, multiple USB and RS-232 Serial ports, PoE is standard. If PoE not used must purchase power supply (Part# PWR-8050), not included). See accessories. KDT750, 1D single-line laser scanner, PoE is standard. If PoE not used must purchase power supply (Part# PWR-8050), not included). See accessories. KDT750, 1D omnidirectional laser scanner, PoE is standard. If PoE not used must purchase power supply (Part# PWR-8050), not included). See accessories. KDT750, No scanner, 802.11g, Color touchscreen, multiple USB and RS-232 Serial ports, PoE is standard. If PoE not used must purchase power supply (Part# PWR-8050), not included). See accessories. KDT750, CCD scanner, 802.11g, Color touchscreen, multiple USB and RS-232 Serial ports, PoE is standard. If PoE not used must purchase power supply (Part# PWR-8050), not included). See accessories. KDT750, 2D imager, 802.11g, Color touchscreen, multiple USB and RS-232 Serial ports, PoE is standard. If PoE not used must purchase power supply (Part# PWR-8050), not included). See accessories. KDT750, 802.11g, 1D single-line laser scanner, PoE is standard. If PoE not used must purchase power supply (Part# PWR-8050), not included). See accessories. KDT750, 802.11g, 1D omnidirectional laser scanner, PoE is standard. If PoE not used must purchase power supply (Part# PWR-8050), not included). See accessories.